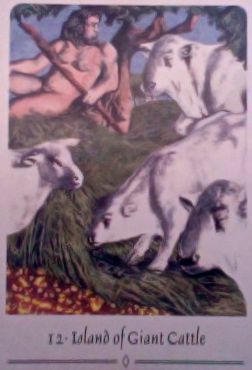 Today's Draw Classic*: Island of the Giant Cattle from the Celtic Book of the Dead oracle. Is there a situation in your life right now that you feel a need to exert control over? Is there one where you really just don't trust another person to do their job? Can you look beyond those issues to see where they are generated by your own fears and lack of self trust?